Fleece Vests can add the special touch of coziness to your wardrobe. BigNtallApparel carries an extensive range of fleece vests that provides additional layer of protection for the wearer. 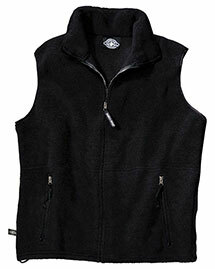 Fleece vests are functional, comfortable and warm; can be worn under a jacket or a sweater in extreme weather conditions. Our great variety of fleece vests includes big and tall vests, performance fleece vests, fleece pullover vests and custom fleece vests; available at value prices.